We welcome all who want to contribute to our website. Either with their experiences or comments or ideas, or ask for the offers we present. If you have questions for the tours presented, do ask us for clarifications. We will contact all needed and come back. You may want to learn a bit about us. Do the same if you want to find out about an experience that you don’t see as a package. AGreekAdventure is not a travel agency but a travel blog. Where you see some packages offered these are affiliate cooperations. 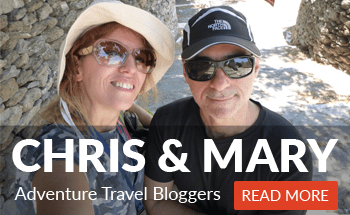 Feel free to send us an email with all your requests at: chris[at]agreekadventure.com or maria[at]agreekadventure.com. (The email is presented like this for anti spam reasons. To use it simply change the [at] with the: @ and send it over). Business Address: 483 Green Lanes, Palmers Green, London, N134BS, United Kingdom.